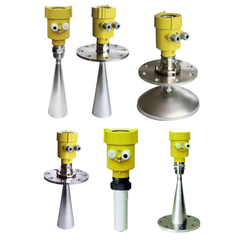 Offering you a complete choice of products which include mini level switches, radar level transmitter, hydrostatic level transmitter, mini level switch, vertical mounting type magnetic float level switches and magnetic float level switch. 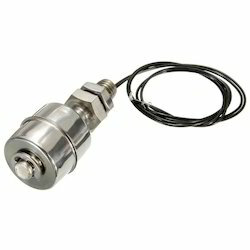 Mini Level Switches are installed vertically and can be side mounted through an elbow. They provide actuation high, low or intermediate liquid levels. The switch actions can be reversed from N/O to N/C & vice versa by simply changing the float direction. Hot Water / Coffee Servers, Vending Machines, Ice Makers, Humidifiers, Food Industry, Air Conditioning & Refrigeration, Analyzers, Engines, Agricultural Machines, Hydraulic, Lubricating & Oil Filtration Equipment's, Industrial Working Machines, Spark Erosion Machines & SPMs. This series of radar level meter adopted 26G high frequency radar sensor, the maximum measurement range can reach up to 70 meters. Antenna is optimized further processing, the new fast microprocessors have higher speed and efficiency can be done signal analysis, the instrumentation can be used for reactor, solid silo and very complex measurement environment. 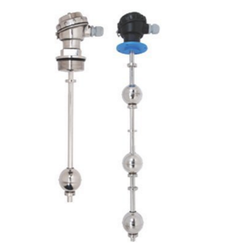 Cirrus submersible type hydrostatic level transmitter are one of the accurate & efficient means of liquid level measurement, application ranging from water to acidic medium over a long operating range. Features like easy to install, submersible construction, long range and efficient working makes them one of the most acceptable continuous level measurement instruments. Advantage it inherits is its easy installation from top or from a small opening on top side of the tank, making it easy to use in any shape of tanks or pit without emptying the tank or making any special mounting arrangement. Transmitter is simply hanged inside tank through its cable. Different versions are available for normal liquids, corrosive liquids, high temperature liquids & acids. 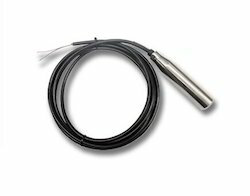 The sensor transducer is enclosed in a liquid tight ss316 / ptfe housing and assembled to a liquid proof cable. Due to liquid static pressure inside the tank, transducer signal is converted into 4-20 ma (2 wire) output in correspond to liquid level accurately. In case of acid version transducer (clt5-st), complete transmitter including transducer and cable is made of ptfe, which can withstand variety of corrosive environment with minimal maintenance and care. 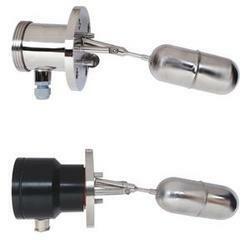 Mini Level Switch are installed verticallyand can be side mounted through an elbow. They provideactuation high, low or intermediate liquid levels. Theswitch actions can be reversed from N/O to N/C & viceversa by simply changing the float direction. Hot Water / Coffee Servers, Vending Machines, Ice Makers, Humidifiers, Food Industry, Air Conditioning & Refrigeration, Analysers, Engines, Agricultural Machines, Hydraulic, Lubricating & Oil Filtration Equipment's, Industrial Working Machines, Spark Erosion Machines & SPMs. It is an established and reliable technique in industry for single / multiple liquid level sensing and control in open or pressurized vessels. It offers trouble free service in conductive / non-conductive liquids under widely varying temperatures, pressures, liquid viscosity and corrosive conditions. Besides, it provides high repeatability and effects of shocks / vibrations are minimal. 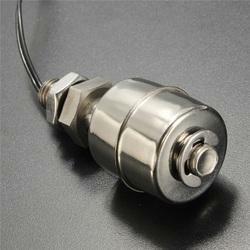 Magnetic reed switch being the sensing element, the float switch operates on a simple principle. A float encircling a fixed stationary stem is equipped with powerful permanent magnets. As the float rises or lowers with liquid level the magnetic field generated by the magnet that is present within the float actuates a hermetically sealed reed switch mounted inside the stem. This in turn makes or breaks the contact of the reed switch. Horizontal Mounting Type Magnetic Float Level Switch is an economical, maintenance free and reliable device used for high, low or intermediate point level switching. It is a deal for tanks with inaccessible tops or bottoms and where insertion depths of top mounted models are exceeded. It is consisting of a free moving pivoted float assembly and a switch enclosure in non-magnetic material to achieve undisturbed magnetic flux. It employs dual magnets, one carried by the float arm and other by the contact carries housed in the switch enclosure. A change in liquid level brings the like poles of dual magnets opposite to each other and resulting repulsion force ensures a changeover of contacts with snap action. The magnetic transmission is glandless, leaving no scope for leakages from vessel into switch housing. These switches are manufactured in various materials, enclosures & special features to suit broad range of media / applications. They aredesigned to provide high repeatability and to minimize effects to shock, vibration & pressure. Fuel oil tank control, Boiler feed water drum control, cooling tower lubrication/cooling/filtration systems, paint shops, water/waste water treatment plants, food/drug/ pharmaceuticals/petrochemical plants/separation plants, sealing liquid level control for generators etc.